If you have been injured, physically or psychologically, as a result of another person’s negligence, you need to contact The Ray Firm today. We specialize in personal injury legal issues throughout the Baton Rouge and New Orleans area. Whether a company, government agency, or individual has neglected you, we will take you through the necessary legal actions step-by-step. It is extremely important to file a claim for personal injury within the proper time period. In Louisiana you generally, only have one year to file a proper claim. 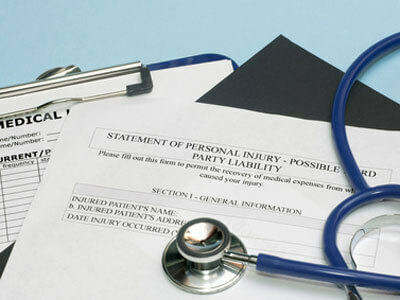 Many people do not realize the time that is needed before you can file a personal injury lawsuit. Consulting with an attorney and investigating your case are the first steps to any claim, which, in some cases, can take longer than expected. If you have been in an auto accident, construction accident, suffered from a defective product, slipped on a wet floor, or tripped on a poor repair job, call us today. The Ray Firm is a trusted law firm in the state of Louisiana and we are happy to answer any questions you have about the legal actions you can take. Our goal is to put your mind at ease when going through a legal bind. We will outline different strategies that will guarantee you reasonable compensation. We provide legal practices in workers compensation, notary services, litigation, and personal injury. If you need an attorney you can trust, call The Ray Firm.